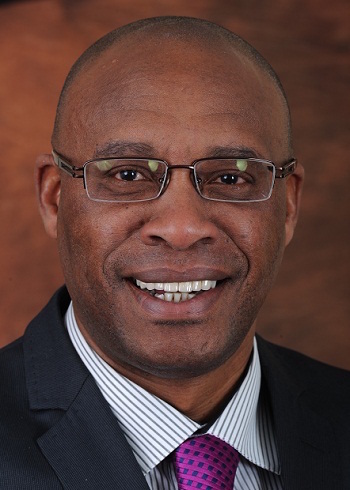 The admission by Eskom’s CEO, Tshediso Matona, that it faces serious financial trouble and that load shedding will commence as from next week onwards do not bode well for South Africans and business in particular. 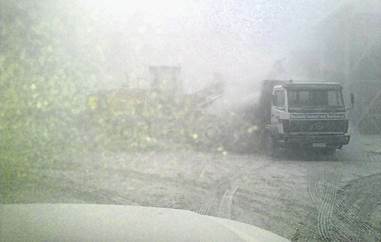 Nevertheless business commends the CEO for admitting that Eskom faces a national emergency! A bigger worry, though, is the fear of unforeseen incidents that might cause the entire system to collapse. Eskom’s diesel budget is also very limited and it pins it hopes on government to assist. The Afrikaanse Handelsinstitute, AHi, wants Eskom to provide a detailed finance plan to government, outlining how it will manage its cash flow. However, many municipalities are not paying their bills and according to Van der Rheede (AHi) municipal debt bedevils Eskom’s financial sustainability as some municipalities are “completely dysfunctional”. Eskom’s liquidity position is also heading for a significant decline in profit due to rising costs and it’s reserves, valued at R20bn, are under severe pressure, according to the AHi. “Megaprojects are delayed, but Eskom is very close to synchronising Medupi unit 6, with Kusile to follow by the end of year. Erratic power will flow to the grid before full power is achieved during the first half of 2015,” said Van der Rheede. “System constraints will heightened from January 2015, with load shedding as from next week onwards.” The AHi encourages businesses to prepare themselves for a rough ride and to rather invest in their own power supply. The current energy challenges have put Eskom’s Renewable Energy Independent Power Producer (IPP) Procurement Programme in the spotlight again. Eskom stated on Tuesday that it is important to note that its IPP programme is being driven by the department of energy and that the current IPPs that have signed – about 22 of them – have been connected over two years ago already. Plans are underway to connect even more. “Eskom remains committed to developing the electricity supply industry by facilitating the integration of IPPs into the national grid and buying electricity from IPPs for national distribution,” Eskom said. “IPPs play an important role in ensuring the security of supply at a time when Eskom’s generating capacity is closely matched by electricity demand.” Eskom interfaces with IPPs through two organisational units. Firstly, Eskom’s grid access unit manages the end-to-end network service relationship with generators and IPPs connecting to Eskom’s grid. “Its other key role is to facilitate grid access by ensuring the process is efficient and all commercial options for IPPs are available in a transparent and non-discriminatory manner,” according to Eskom. Secondly, the buyer is housed in the energy planning and market development unit, which enters into power purchase agreements with IPPs. This unit also assists the department of energy with the country’s integrated resource plan. The first project under the RE-IPP was connected to the grid on September 27 2013 and the first IPP was commissioned on 15 November 2013. Eskom has successfully facilitated the connection of 22 renewable energy independent power producer (RE-IPP) projects with a capacity of 1 076 MW to the grid. Of these a total of 467.3 MW is currently available to the system. The department of energy has approved an additional 1 457 MW pursuant to the third bid submission. No contracts have yet been signed for this capacity. A further 1 005 MW of capacity was signed under the department of energy’s Peaker programme. The news and everyday topic in Ghana, Nigeria and South Africa these days is dominated by energy issues. While the Energy Minister of Ghana at least admits that the power crisis will last until May 2015, South Africa and Nigeria are just exposing their people, business and the whole economy to rolling black-outs and load-shedding programmes. But it has to be noted that – beside the unlimited sources for renewable energy – Sub-Saharan Africa’s traditional energy resources are more than sufficient to meet the needs of its population, but because they are largely under-developed the region is struggling to reach its potential. The latest International Energy Agency (IEA) report states that 30% of global oil and gas discoveries were made in sub-Saharan Africa over the last five years and, already, the region is home to several major energy producers including Nigeria, South Africa and Angola. On the renewable energy front, the region is endowed with huge renewable energy resources, including excellent and widespread solar and hydro potential, as well as wind and geothermal. In line with Africa’s impressive economic growth over the past years, investment in the sub-Saharan energy supply has also recorded an increase. Unfortunately, two thirds of the total investment since the year 2000 has been aimed at developing resources for export. In addition, grid-based power generation capacity continues to fall very far short of what is needed. It takes not degree in rocket-science to verify this every day! The region has a huge potential to develop. The report foresees the sub-Saharan economy quadrupling in size by 2040, the population nearly doubling to over 1.75 billion and energy demand growing by 80%. “Power generation capacity also quadruples: renewables grow strongly to account for nearly 45% of total sub-Saharan capacity, varying in scale from large hydropower dams to smaller mini- and off-grid solutions, while there is greater use of natural gas in gas-producing countries,” states the report. Natural Gas Production PlantBy 2040, Nigeria will be producing the bulk of the 230 billion cubic metres of natural gas in the region, whilst Mozambique, Tanzania and Angola will increase output. Especially with Uganda joining the oil-producing countries, the region will grow oil production to exceed six million barrels a day in 2020, before falling back to 5.3-million barrels a day in 2040 with a parallel coal supply growing by 50%. In this context South Africa will be the the leading producer if one leaves recent developments and supply situations around Majuba Power Station out of the equation…. The huge number of people without electricity in the region – 620 million people or two-thirds of the population – is a main challenge for African countries. But there are solutions to sub-Saharan Africa’s energy conundrum. African countries can increase access to modern forms of energy as a way to unlock faster economic growth and social development, according to the report. But it seems paper is more patient than reality as the recent delays and legal impediments in South Africa show with regard to coal supply, renewable energy power producer bidding rounds and maintenance and operability of existing power plants. Cutting red tape in order to encourage and speed up private investments into the renewable energy sector. The development of renewable energy generation projects has become attractive to a number of energy consumers, installations and large institutions, land and estate owners and others who recognise the economic, environmental and/or security potential of renewable energy. Whether the goal is for projects large or small, and regardless of whether the host will eventually finance and build the project themselves, each will find it important to take on the role of project developer during the early stages of project development. Energy is seen as an important element of socio-economic development. Energy can provide services such as extension of daytime activities through lighting, entertainment through radios and televisions and plumbing of portable water. Photo Voltaic (PV) projects in Botswana have always been implemented to provide social and communal services such as powering health centres, schools and communal centres. 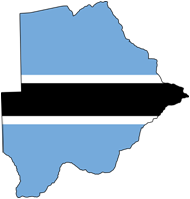 Botswana is a lower middle income African country, currently having to choose the basis of its future electricity production owing to the inability of Eskom to continue to supply 75% of Botswana’s needs. Botswana needs to establish security of supply and faces the choice of continuation of the coal-fired production of energy of the past, which has given Botswana very high releases per capita, or embrace a clean energy change. Botswana is the size of France but supports a population of only 2(two) million people, and has experienced very fast economic expansion over the last 40 years, based on the use of income from diamond production. Botswana is seen as having special privilege to use fossil fuels to ensure development and it has very large coal reserves. Access to grid-based energy was limited to 15% of the population in 1999, but the target is for 90% access by 2018. There are clear statements on renewable energy and a national photo-voltaic (PV) rural electrification programme. Botswana is looking to China (like most African countries) to see the way forward post 2012 for G77 countries on clean energy. Chinese funding in Botswana has been largely controlled into coal-fired power stations. Chinese energy decisions are both a barrier and an opportunity as it moves into the technological lead on RET in its own country. There is a possibility of full clean energy transitions for Botswana, through on-grid combination of decentralised REFIT and centralised CSP. The governance mechanisms in Botswana provided by the Kgotla consensual approach, involving all Botswana actors, could provide the platform for discussion of an energy regime change after the end of the current vision 2016, laying the foundations for a long term low carbon path for Botswana. 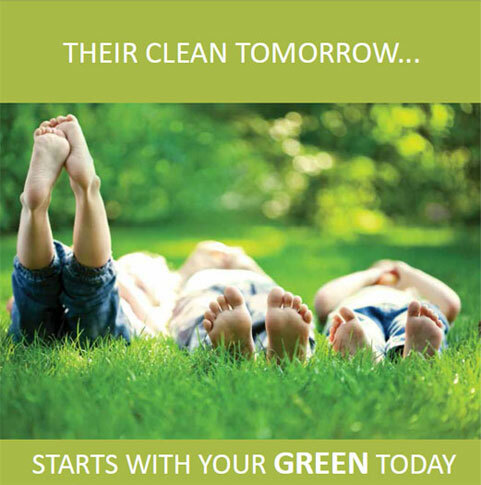 The Time to Go Green is Now! ABOUT THE AUTHOR: Ralph M Ertner, born in 1965, is the founder and current CEO of the INTO SA Group. His career started at Deutsche Bank Berlin, where he was trained in and later responsible for asset and portfolio management. He went on to study law at the Free University of Berlin. After gaining experience at the law firms of Neuendorff & Partner (Berlin), Heussen Braun von Kessel (Munich) and Jan S De Villiers (Cape Town) as well as Van der Spuy (Cape Town) he decided in 1995 to stay in South Africa permanently. Two years later he obtained the degree of Master of Laws at the University of Cape Town (UCT). With his specialist knowledge in commercial law, financial and international tax matters, Ralph Ertner specialises in Immigration and Black Empowerment Law and contributes his energy and expertise to the benefit of INTO SA’s corporate clients in sub-Saharan Africa. Ralph Ertner is author of eight books on legal investment conditions in South Africa, among them Tax Law: A Guideline for Investors and Investing in South Africa Opportunities and Risks in the 21st Century. Furthermore is he the author of several articles in the national and international media. He is a past member of the Regional Council of the South African German Chamber of Commerce in Cape Town and currently Director of the Austrian Business Chamber and the Spanish Chamber of Commerce in Johannesburg as well as the Founder and Past President of various Rotary Clubs. Tanzania’s energy demand for heating, electricity and transportation has been increasing with improved standards of living. To meet these growing demands, Tanzania has had to import a growing share of electricity from Zambia and Uganda. However, its domestic electricity supply is still vulnerable: delivery from these partners has been inconsistent, mainly because they both also depend on hydropower – and the country continues to suffer from frequent power outages. Tanzania suffered drought-related power crises in the 1990’s and then in 2006, 2007, 2009 and 2011. In 2011, the national utility company TANESCO had to institute rolling blackouts of up to 12 hours, forcing about 50 factories to close down and retrench their employees. In an effort to increase access to electricity, the government is promoting Small Power Projects of up to 10 MW, through the introduction of a simplified implementation framework. The framework will include a Standardised Power Purchase Agreement, Standard Power Tariff Methodology and a Standardised Power Tariff. The National Energy Policy was adopted in 2003 with the objective of addressing national energy needs. Secondary objectives included developing domestic cost-effective energy resources; improving energy reliability, efficiency and security and reducing forest depletion. Tanzania has had a feed-in tariff scheme in place since 2008 for small power producers. Feed-in tariffs for small power producers are adjusted annually by the Energy and Water Utilities Regulatory Authority and are based on the avoided cost of the electricity. That means that they are differentiated by renewable energy technologies and that there is no guaranteed price over the long term even if a power purchase agreement is signed for a 15-year period. For balancing the higher generation cost in dry seasons, when the availability of hydropower is lower than in wet seasons and thermal power plants have to generate more expensive power, the standardised feed-in tariff is differentiated according to the season. Short and medium term projects have been identified in the Power System Master Plan 2007-2031 to replace the short term emergency generation plants. A number of major projects have been proposed to develop the power sector of the country, and provide a solution to the current Southern African energy deficit. In 2008, the Energy Development and Access Expansion Project a multi-million international development association credit and global environment facility grant was approved by the World Bank. This project is primarily focused on the improvement of TANESCO’s transmission and distribution grid. The project also supports renewable energy options, namely, mini-hydropower generation, biomass co-generation, and solar energy. The mean solar energy density is about 4.5kW per square metre per day, which indicates its potential use as an energy source. Some solar developers are seeking to set up large solar PV projects. Hydroelectricity is the most important indigenous source of commercial energy, with a recognised potential of 4.7 GW of installed capacity and 3.2 GW of firm capacity. Only 15% of the potential installed capacity has been developed and several projects are currently seeking funding. Geographically, the hydro power potentials Tanzania are located in the Rift Valley escarpments in the West, Southwest and Northeast regions of Tanzania. The planned large-scale hydropower generation sources include Ruhudji (360 MW), Rumakali (220 MW) and Stieglers Gorge (2100 MW). Stieglers Gorge may have the potential to produce enough electricity to justify investments in extending the national grid and has been under construction for decades due to a number of environmental and social issues. 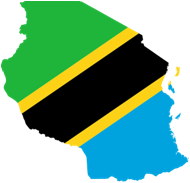 There is a high potential for geothermal power generation in Tanzania, with temperatures of up to 255 ˚ C. At least 15 thermal areas with hot spring activity could be justifiable development projects. The total potential geothermal power in 50 identified sites is 650 MW. The Songwe site in Mbeya region alone has an estimated potential of 100 MW of electricity. Geothermal exploitation involves changing the flows of underground water, which in some cases have led to draining of nearby lakes. The Ministry of Energy and Minerals frames its strategy and priorities for renewable energy development as part of the overall efforts to achieve economic growth and poverty reduction. It foresees a need for great improvements within the energy sector as a whole, both on the demand and supply sides. Isn’t it all about (having) Energy? While sitting during one of the most recent load-shedding episodes lets you reflect on Energy! While the fan of your notebook is humming and light from the screen is the only source of light next to the odd candle-stump that was recruited from the kitchen-drawer and two Consul Solar Jars, a wedding present that moved only recent into the focus of appreciation. While the South African government is happily burning billions of Rand of Tax Payers’ money for the two latest “White Elephants” named Medupi and Kusile, our neighbours have shifted their focus. Why don’t you hear anything about the building of coal fired power plants in the news? Simply for one reason: gloves are off and the focus lies – almost solely – on Solar, Wind and Hydro Power – or even Liquefied Natural Gas. While one South African Minister signs happily cheque after cheque to be posted to Lephalale and Witbank … sorry, eMalahleni … the inner circle of government has already realised that this will not help the electricity shortage and sign something else instead, a power purchase agreement with the Democratic Republic of Congo to buy in future 2.5 MW, generated by their Hydro Power Plant on the Congo River! Parallel to that the frequently changing Ministers of Energy pat themselves on their back for having invented a procurement mechanism for Renewable Energy that will now be adopted in other areas of infrastructure. Hello? Somebody out there? There is nothing to be proud of, especially not of a legal framework that was flawed from the beginning, drives the cost to tender over the half million US Dollar line and has made the financial closing so difficult that the usual investors rather invest somewhere else. But Energy is also what one must have in the sense of perseverance. The latest strikes are over – for now – but the economy and with her especially the Rand – are far from recovering. South Africa has one of the best solar resources in the world, photovoltaic ‘PV’ modules are the cheapest they have ever been (with the landed price dropping more than 50% in the last year) and grid connected systems are now at, or very near, to grid parity where the cost of electricity produced from privately-owned rooftop PV modules is equal to, or less than, the cost that the consumer would be paying for electricity from the grid. Furthermore, with the spectre of load-shedding looming once again (due to a strained electricity grid) and with the broad-based economic and social benefits which could flow from a robust rooftop renewable energy market, it is difficult to comprehend why South Africa has yet to grasp the rooftop opportunity as much as her international counterparts. In Germany, for instance (a country with a far lesser solar resource) ordinary citizens now own half of the country’s renewable energy generation capacity. Rooftop PV technology is mature and easy to deploy, far easier than building new coal-fired or nuclear power plants, and presents real opportunity for South Africa’s interconnected energy and socio-economic aspirations. SA has one of the best solar resources in the world. Yet onerous legal requirements in some instances, massive amounts of red tape and the lack of over-arching policy is holding us back. Add to that the reality where certain local authorities derive a disproportionate amount of their revenue from electricity sales – where such serves to cross subsidise other essential services – and we have a situation which acts as a disincentive to promote the self generation agenda. These are all obstacles which need to be urgently overcome. However, despite these hurdles, KJION Energy SA has started to install rooftop PV and are connecting these systems to the grid where legally possible. This practice not only improves the green credentials, but reduces energy costs and enhances the security of their supply. The payback time for a grid connected system at the current rate per kWh is now 5 to 7 years and if you can afford the up front investment, you’ll be generating electricity for free after that. Encouragingly, the major financial institutions are starting to look at innovative finance schemes in order to get over the initial upfront cost hurdle of installing the necessary equipment. Roof-top solar photovoltaic (PV) panels can change the power dynamic of South Africa by supplying efficient, green energy for almost any use. They are, however, a new option for many South African companies, many of which may now be reasonably wary of installing them following Carte Blanche’s exposé of the poor installations of rooftop solar geysers that resulted in unserviceable solutions. In the case uncovered by Carte Blanche the problem lies not so much with the quality of the products used but rather with the installation process. Installation is as crucial as getting the right product. Solar solutions will fare better in the long term if they are easier to install and suitable for a wide range of structures since solar panels can actually be mounted to commercial and residential roofs, carports, car parkades and even vertically to building facades, depending on the building’s orientation. The industry is divided into companies that supply the solar panels, those that provide the mounting systems and those that actually install the systems. KJION Energy is one of the few that cover all aspects of a roof-top system. In the case of the Carte Blanche exposé, there were numerous installation problems that resulted in leaky pipes, brackets that weren’t attached to roofs and internal, structural damage to homes. As government is learning, through issues such as the solar geyser tender, it is important to find suppliers with good quality systems that are installed by professionals. This does not have to be at the cost of local businesses, local manufacturing and BBBEE as KJION Energy proves. Local businesses with good reputations and years of experience such as KJION Energy have invested in these systems. They range from local electricians to construction services, materials and infrastructure investment groups, engineering businesses and even architects. With the maturity of the offshore solar PV industry many of the current suppliers are from abroad, but they are investing in a South African solar PV industry by establishing local manufacturing, working with local manufacturers, and training local installers. The benefit of this approach is that decades of experience are passed on very quickly to local businesses, which means they can quickly rival the quality of their international counterparts. KJION Energy SA is drawing its experience and history from its Austrian Holding Company KJION, which has been successfully in business in Europe for the last 15 year. The solar mounting equipment manufactured locally can be as good as that produced in Austria for example, because it can be done according to ISO 9001:2000. The ISO standard specifies requirements for a quality management system. Another standard, DIN 18.800, DIN essentially being Germany’s equivalent of ISO, governs the quality of welds used to manufacture the mounting brackets and platforms. Tests are also conducted on the designs of the solutions to ensure they can withstand atmospheric, particularly wind, conditions by using sophisticated and expensive wind tunnels. If you tally the manufacturing processes, the quality of the materials used, and the certification of KJION Energy‘s installers, the net result are systems that are guaranteed for more than a decade, which will be the minimum time these solutions should be productive. Governments worldwide have recognised the necessity of renewables, specifically solar renewables. Needless to say that solar energy is evidently a natural resources in the whole Sub-Saharan Africa. Keeping in mind it has one of the highest solar radiations in the world which is approximately 6kWh per square meter daily, this is essentially for off-grid locations that are limited by transmission and fuel transport networks. Stakeholders, director’s, manager’s and shareholder’s of companies worldwide are beginning to take unprecedented steps to install on-site solar energy systems which provide the entity with a guarantee concerning stable energy supplies and internally decrease energy expenses. The affordability of the cost for PV Systems has improved the solar value proposition for commercial users and the cost has decreased significantly. Stakeholder’s are looking at this as a future investment and not as an initially expense. South Africa offers several government grants such as the manufacturing investments programme (MIP), the manufacturing competitiveness enhancement programme (MCEP), automotive investment scheme (AIS), film and television production incentive, the tourism industry, tourism support programme (TSP), and the business process outsourcing/ business process services (BPS). to assist entities with direct investments. Africa’s economic growth is affected by the power/electricity problems with the countries. For instance it was stated by the World Bank that households within Sub-Saharan Africa have access to less than 25%, falling as low as 10% in the rural areas, especially with power outages happening at an average of 56 days a year. Every time there is a power outrage the backup diesel generators must kick in to reduce economic losses for the industry, with losses as much as 20% where back-up generation is not available. It is estimated that more than US$ 40 billion a year of investments is needed for Sub-Saharan Africa to address the power supply problem that is hindering this economic growth. Angola The Government has committed to the implementation of PV projects for electricity generation to meet the country’s rising energy demands, through investments in 130 solar projects for schools, health centers, water pumping, lighting & other projects. In the long term, the country plans to integrate solar into the national grid. The Government in cooperation with the US government has plans to open a RE research & technology centre. The CEO of Portuguese Utility EDP has expressed interest to invest in PV projects in the country with future plans to have small solar villages. Botswana: Renewable energy feed-in tariffs was introduced in 2011. The “Energy Master Plan” was also launched for rural electrification with solar energy. Eritrea installed 12 MW in various parts of the country, benefiting 65% of remote areas. 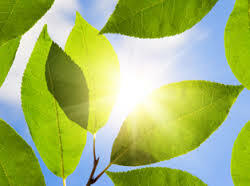 High potential of solar energy in the country has been identified with solar radiation maps being prepared by the Energy Research and Training Centre of the Ministry of Energy and Mines. Solar PV panels and batteries are partially locally manufactured, reducing cost. Ghana has passed the Renewable Energy Act in Parliament, to reach the target of 10% renewable energy in the national energy generation by 2020, putting in place the necessary legal & regulatory framework. Solar panels have been installed for schools in rural communities to boost academic performance and for clinic’s medication & medical instrument storage. Cadbury has also invested US$780,000 in solar projects. Kenya boasts Africa’s largest rooftop system installed on United Nations Environment Programme’s headquarters. There is development of 50MW PV project. Solar academy has been set up to train locals. Kenya is looking to be the base of operation for $140 million solar power station by Chinese solar panel manufacturers. Solar financing plan was launched to enable access to PV systems. Negotiable tariff system implemented to attract project development and favourable rate of return for investors. Loan facility is available from any commercial bank when buying panels from a Kenyan-based module manufacturer. Lesotho: has solar power implemented by UNDP/GEF. Mozambique was granted a US$35 million loan from South Korean government’s Economic Development Cooperation Fund, to provide 400 to 500kw of power, together with the commitment to the training of locals in maintenance and know-how. The Ministry of Energy has also launched programs to accelerate solar energy usage. Nigeria targets for 5% of energy generation mix from renewable energy by 2020 with the Power Reforms Act. Minister of Power announced the boost to the country’s energy needs with 1,000MW of solar power over the next 10 years. Germany has committed to invest 20million Euros to boost energy efficiency by 6,500MW, of which 500MW of solar energy. Nigeria is ranked as one of world’s top 4 destinations for investment and growth, making RE investments in the country particularly attractive. Rwanda has land allocated by the government for solar park developments, with policies in place for development of solar water heater. It boasts the 1st grid scale solar development in East Africa with the PPA for the 8.5MW park signed. Previous claim to fame is being home to the “largest single solar installation in Africa. Senegal was the 1st country to pass renewable energy law in West Africa, with the decision to make solar energy the main energy source. It is home to the 1st solar PV module manufacturing in West Africa, with annual output of 25 MW. 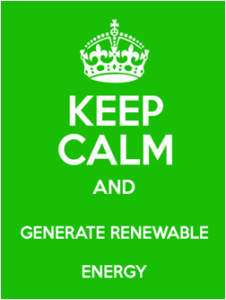 The usage of RE is targeted at 60% of its electricity consumption. Swaziland has a 100MW solar farm planned on public land, valued at $185million, to be connected to the grid, supplying more that 50% of the country’s energy needs, changing the energy mix of the country. Uganda has launched a 10 year program by the government for Energy for Rural Transformation. Zimbabwe introduced feed-in tariffs to boost usage of renewable energy in private sector power generation. 3 solar plants of 300MW was established in partnership with Chinese firm and project funding of US$750 million acquired from HSBC, China Eximbank and United Overseas Bank. Zimbabwe currently has a power demand deficit of 1 100MW, which is currently covered by imports from the region. The conference promises to focus on the overview of the current status, opportunities and targets of solar energy. The institutional framework to support scaling up of solar developments, case studies of successful projects, risk mitigation and management strategies, local manufacturing, securing finance, storage solutions, grid stability and even the stability of solar programs. Our new Webpage went live on the 11th of April 2014. We hope that you will enjoy the new look and feel experience.